Officials have revealed that the San Francisco Bay Area transit officer who was killed in the line of duty was in fact wearing bullet resistant armor. The single gunshot that took down the officer was fired by a fellow BART member who was investigating an apartment at the same time. Alameda County sheriff’s spokesman Sgt. J.D. 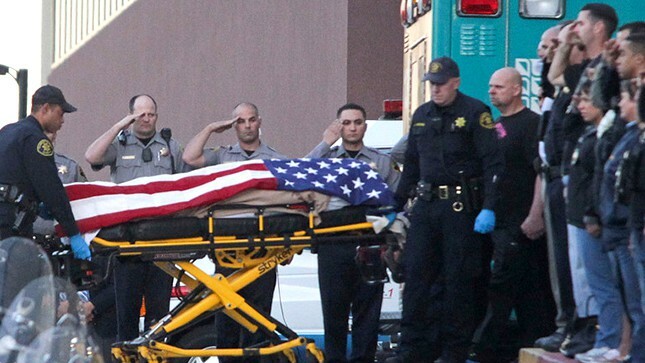 Nelson reported that the slain officer, BART Police Sgt. Tom Smith, was struck in an area that was not protected by the bullet resistant armor. Nelson said that unfortunately it was not possible for the bullet resistant armor to provide 100% protection. Authorities are still looking into the incident to try and find out if the gun was fired accidentally or of Smith was mistaken for someone else. Foul play is not a factor in the incident. The 42-year old Smith was accidentally shot during a routine search of a one bedroom apartment in Dublin. The officers were looking for a laptop bag and other items that were stolen during an armed holdup at an Oakland train station. The death represents the first time that an officer has been killed in the line of duty in BART’s 42-year history. No official police statement has been released naming the shooter, but government officials speaking on the condition of anonymity have revealed that he is 50-year old Michael Maes, a 13-year veteran of the BART police force. David Mastagni, attorney for Maes, refused to be drawn into a discussion about the incident or the ongoing investigation. He did reveal that Maes is co-operating fully in the investigation, and that his client wished to express his heartfelt love and sympathy to the Smith family. Mastagni, whose office is in Sacramento, is no stranger to such incidents. 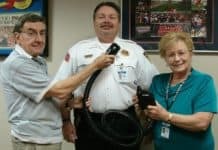 He has served law enforcement officers for more than 40 years and is well aware of the risk involved in their chosen career. He asked that everyone take time to pray for Officer Smith and his family, whilst also sparing a thought for what Maes and his family are currently going through. Daniel Lawson, senior director for Public Safety at the University of San Francisco and former SF police captain said that being fatally shot while wearing bullet resistant armor is not entirely uncommon. Lawson explained that many different types of bullet resistant armor were available to officers, but that most opted for a Kevlar vest for daily use. That particular bullet resistant armor protects the area between the Adam’s apple to slight below the stomach, as well as the majority of the back. The goal of that vest is to protect vital organs like the heart and lungs, but it also means that certain parts of the body, including the sides, neck, and head remain unprotected. The levels of protection offered by different vests was explained by Los Angeles Police Cmdr. Andrew Smith. He said that lighter, thinner vests were less proficient at stopping bullets than heavier tactical-entry vests. He also agreed that there were vulnerable spots where bullets could penetrate. Smith recounted the story of an LAPD officer who lost her life in the line of duty when a rifle round made its way into the armpit area of the bullet resistant armor she was wearing. He spoke of how there was no perfect solution to the issue, and that the type of round used and the position of the bullet strike could very well determine whether or not a shot would be fatal. BART Police Chief Kenton Rainey said that funeral services for Smith would be held at a Castro Valley church on Jan. 29 and would be open to the public.